Today, I will go over the requirements for successfully monitoring and logging WhatsApp Messenger with cell phone spy software. When someone starts looking for these kinds of services, a common question is whether or not it is possible to log chat programs, and while the short answer is yes, all service providers have their specialties and limitations, therefore making it very important that you properly verify and select a service that covers all your needs. You may want to keep an eye out on your child’s mobile phone and private chats, or ensure your employees are as productive as possible, or preventing unauthorized information to be shared or leaked to other parties. Let’s have a look together at these different scenarios, and what you need to get started. WhatsApp is one of many free chat applications that allow you to text through live chat, with the ability to create groups, share your location, pictures, and video. You can even record voice messages to share with friends and family. Since the software uses an internet connection to function, it does not charge you any carrier fees for texting, other than using your plan data. It can be used to send unlimited texts, pics and videos for free, and if you connect to an external Wi-Fi, you can use it from home without going over your plan’s limit. Being free and rich in useful features, WhatsApp Messenger has become one of the most popular and downloaded apps of its kind, and is available across all mobile platforms. Why spy on WhatsApp messages? There’s always the same common reasons as to why you might want to log and monitor WhatsApp on your mobile devices. For one, if you have children, you know how much time they spend on their cell phones and tablets nowadays, and there’s no sound way you could possibly keep an eye on them at all times when connected to the web. On the other side of the fence, you may be a small business owner needing to improve on productivity and add an extra layer of security with your employee company cell phone devices. Some of these tracking services such as mSpy and Mobistealth offer tailored features for both parents and business owners. Let’s have a look at some applications. Parents can keep an eye on who their child or teenager is speaking with. Helps keep your child safe from predators, or inappropriate media sharing. Parents can set keywords for profanity or other alerts, to advise them when they should verify the chat logs. Employers can ensure their workers are not wasting too much time on social media and chat. Add a layer of security against information leaking or unauthorized activities by personnel. HR can be alerted of any inappropriate pictures being shared among employees. Overall productivity raises when workers are aware of being monitored. How does spy tracking software work for WhatsApp Messenger? 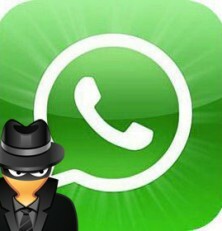 Since WhatsApp is a third party application that is downloaded and installed on the mobile phone or tablet, you have to make sure that the spy software that you choose will actually support logging and monitoring of all WhatsApp communications. The basic requirement is simply that the service supports WhatsApp. The service should be able to do the following. Save all WhatsApp chat conversations and log them for you to access at any time. Access to all pictures, videos, and voice chats shared across the chat. Ability to view all WhatsApp contacts and group chats joined. Ability to view when a location was shared, including location coordinates. All logs and media files are saved to your provider’s server, for you to access from anywhere you want, by simply logging onto the website with your account password. Many spy software services offer WhatsApp tracking and compatibility, but it helps to know the good ones from the bad ones. Having a good monitoring app means you get a rich list of powerful functions beyond logging WhatsApp chats. As I discussed, you may require special keyword alert functions, parental controls and filters, or business oriented services. Let’s have a look at the best spy apps available for our needs at hand. A longtime favorite of mine has been mSpy, for its robust platform, solid support and cross-platform compatibility, but mostly because it has all the main and advanced features possible. The power that mSpy puts in your hands goes way beyond chat logs, but on that topic, you will also have compatibility for; Skype, Viber, Facebook and other social sites, iMessenger, BBM and recently added Snapchat. Advanced remote control features have been removed, but theft protection, parental controls & alerts, are all available through an easy to use web panel. The service also features a complete keylogger that will record all keystrokes pressed on the target device. 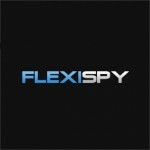 Another great choice for monitoring WhatsApp is FlexiSpy. They offer a complete service compatible with Android, and iPhone in regards to WhatsApp messages, but also support various other messaging apps such as; Facebook, Snapchat, BBM, VOIP Apps, the list is extensive. If you’re willing to pay for their highest package, they also provide remote control of the microphone and camera. Although they don’t offer as much on the parental control side of things, the amount of available cell phone monitoring app compatibility is enough to satisfy both personal, and business users. 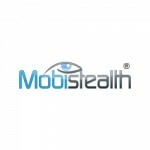 Mobistealth is also a great service, and can be a bit cheaper in cost. It ranked 3rd but can be considered as good as the previous two and here’s why. First, as far as WhatsApp Messenger goes, it supports full monitoring on both Android and iPhone, but when we compare the list of messenger apps, it has a slightly shorter list, but really not by much. However, some key apps such as Snapchat and Facebook Messenger are not supported at this time. But, they do offer remote microphone control, and call recording, both features that mSpy no longer offers. They also offer the service at a better cost than FlexiSpy which does offer call recording, and remote control. So, in conclusion, pick the service that fits your needs, and budget. 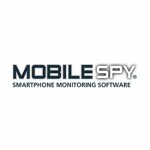 Mobile Spy was a popular choice for years but now lacks the ability to operate in stealth. The website looks great, and the web panel could not be any simpler. Everything works smoothly and they offer an honest, valuable and supported service. However, the price has not dropped much regardless of the lost value in the latest service changes. All advanced features have been removed, and the device has to advise the user regularly that the cellphone is being monitored. 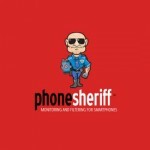 Sister company of Mobile Spy – Phonesheriff, also no longer operates in stealth. Much smaller list of features as Mobile Spy, but focused a little bit more on parent functions and less of the advanced spy functions. The services have been changed quite a bit, but are no longer really valued as much by parents due to constant app notifications regarding the monitoring. Before you go on your way to selecting your spying software, you should be aware of the important requirements needed for your device to be fully compatible with WhatsApp and other similar third party chat and voice call applications. Android: In order monitor and log WhatsApp, or other similar programs such as Skype, Viber, Facebook, Twitter and company, your Android has to be rooted. It’s not needed for monitoring and spying on phone calls, SMS text messages or any native cell phone functions, but for third party messaging and VOIP calling apps, this is the only current way to make it possible. Read on more on what rooting is, the advantages of rooting your device, and how to do it safely. iPhone/iPad/iPod: All Apple devices require being Jailbroken, in order to be able to first install the spy app. Without the jailbreak, it is not even possible to download and install the software on your phone or iPad, for example. PhoneSheriff offers a standalone service that does not require jailbreaking, called Investigator, which allows iCloud backup monitoring. But, it doesn’t include WhatsApp or nearly as many features. Learn more about Jailbreaking, and how you can get it done here. Not Available for Windows Phone, BlackBerry or Nokia: At this time, there is no service that can offer monitoring or tracking of WhatsApp and other similar third party messengers. In order to take advantage of this feature, the target device must be an Apple iPhone, iPad or Android phone or tablet. For computer monitoring, you may take advantage of WhatsApp messenger tracking both on Windows and Mac OS. Both parents and employers can rest better now, knowing that they can have a monitoring bodyguard protecting their family or business for them, in ways that we’re not long ago, out of reach and not possibly visible, leaving us open to different threats. With tracking programs and monitoring services, you have access to this information from anywhere at any time, with the option of setting specific alerts/alarms to email or text you as desired. Visibility on Third Party Chat. Being able to see beyond SMS can be crucial to protect information or keep attackers at bay. Most attackers feel safer communicating on third party chat services, thinking they are not traceable. Keep Tabs on New Contacts. Protecting your business assets from competitors can mean the difference between having an eye on a bad employee or not. Parents can find out if their growing child is being contacted by a possible predator, or starting to hang with the wrong crowd. Increase Productivity Levels. When your workers are aware that all chat and email messages are logged, you would be surprised and how much less wasted time is spent sending off non-work related messages between co-workers and friends. It’s a great remedy for production issues related to internet browsing, social media and chatting online. I hope this article has helped you better understand the topic in full. Knowing about WhatsApp is equally as important, as most parents whom may be unfamiliar with technology, might not even be aware that their children are using such services. Being aware, now you can take action and make an informed decision on selecting the proper spy application for you. If you have any questions, leave a comment below or send an email. If you want a reasonable software to monitor WhatsApp then FlexiSpy is the best solution. However, for that you need to have rooted Android phone. If you don’t have a rooted Android phone then ofcourse mspy is the best. We wanted a way to monitor IM including WhatsApp but we did not want to Root the smartphone as it invalidates our warranty. We found and chose the app Safe Lagoon ( https://safelagoon.com ). It is a parental control solution not so much a spyware so its not working in stealth. Good for us and our kids. is it possible to know who is spying my group chat on facebook?